After much research and colaboration with potential users of such a building, we are pleased to announce the inclusion of the 34mm camping pod to our building range. Aimed at camp sites initially, but most suitable for all kinds of upgraded camping facility such as glamping and fishing lakes. 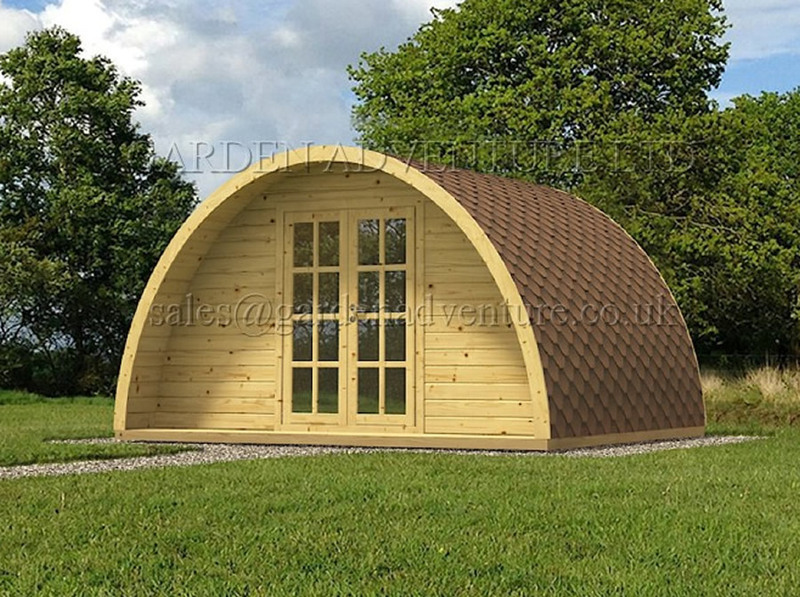 Our camping pods are designed for structural strength and longevity in a demanding environment and for that reason the wall logs are 34mm tongue and groove boards and the flooring 19mm tongue and groove. You won't be dissapointed with the quality versus an exceptionally competitive price. Those looking to replace or start a new venture with multiple purchases can be assured of a generous volume discount - please contact the office to discuss your individual needs.